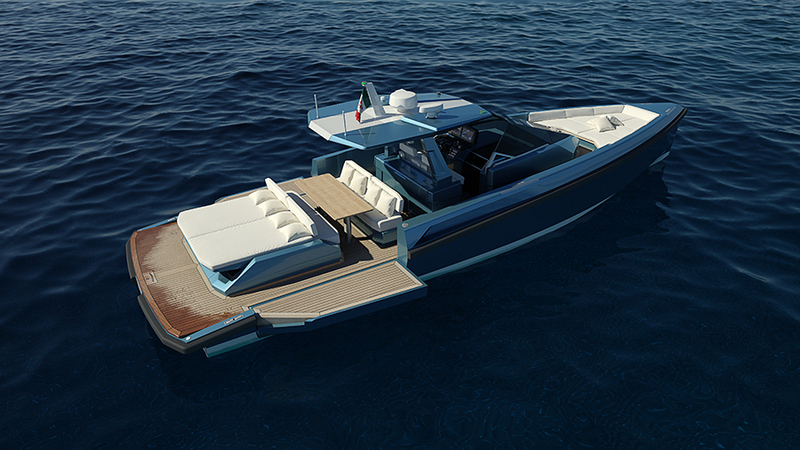 The 48 wallytender concept was developed as a standalone runabout in its own right, ideal for day or overnight cruising and not just as a support vessel for a larger yacht or private villa. As such, it opened up a market for large tenders that previously did not exist. 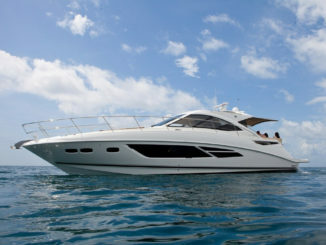 The new 48 wallytendertakes this unique onboard experience a step further with new amenities and features. 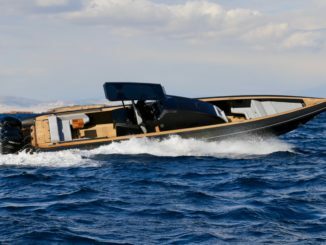 What remains the same, however, are the stylish solutions that define the Wally approach to combining form with function, which are applied to every detail of the lightweight composite construction. 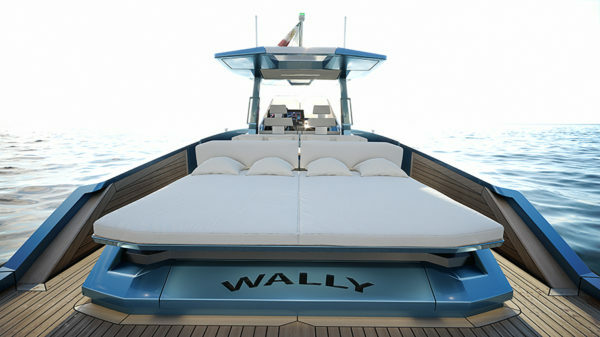 On deck of the 48 wallytender, the layout has been designed to let family and friends relax in convivial comfort by sinking into the generous seating and sunbeds, and enjoy al fresco dining thanks to the galley unit equipped with two cooking rings, a sink and two fridges (one inside and one outside). 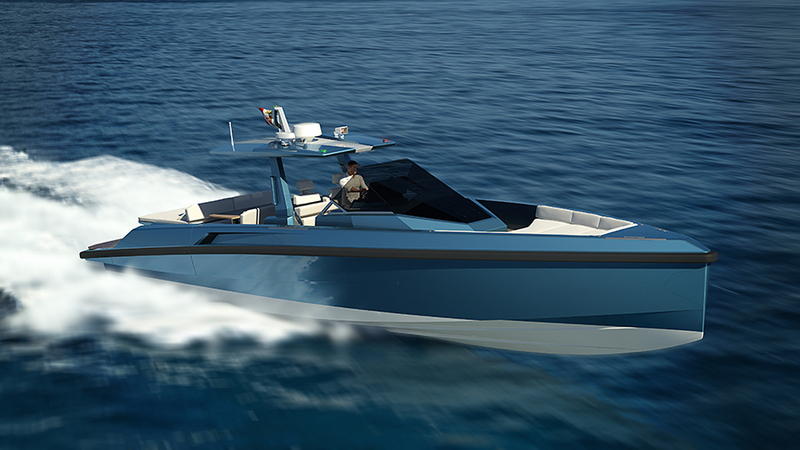 While under way, the aft seating can be configured to face forward and when at anchor to face the dining table. 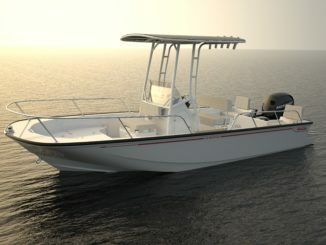 The entire aft sun bed can be raised to access the engine compartment, or just the top section that has storage space underneath. There is more storage under the forward sun bed and even a locker for water toys such as an inflatable SUP and the scuba equipment in the unit behind the helm seating. Another standout feature developed from the 118 wallypower opening bulwark innovation, are the fold-down bulwark sections to increase the size of the swim platform, which is served by a retractable passerelle that doubles as a 5-step swim ladder. 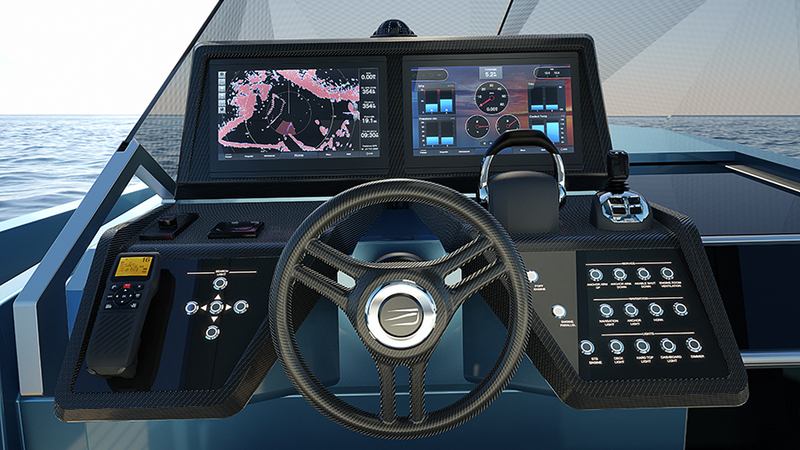 The standard propulsion package comprises the new Volvo IPS 650 engines (2 x 510 hp) with user-friendly joystick controls for a top speed of 38 knots. 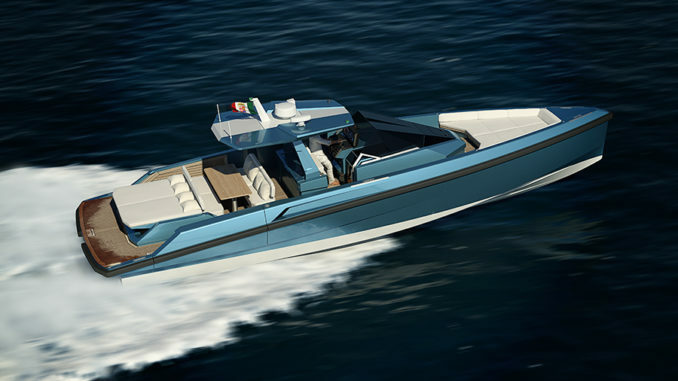 The first unit, currently under construction at the Ferretti Group production site in Forlì – Italy, is due to be launched in June.